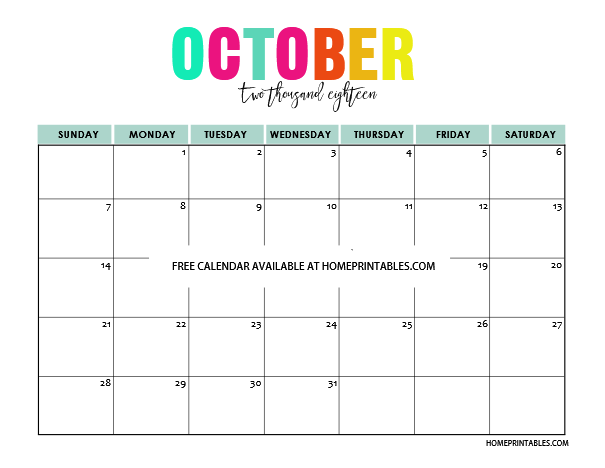 Searching all over the web for a free printable calendar 2018? I think you’ll LOVE what we have for you. 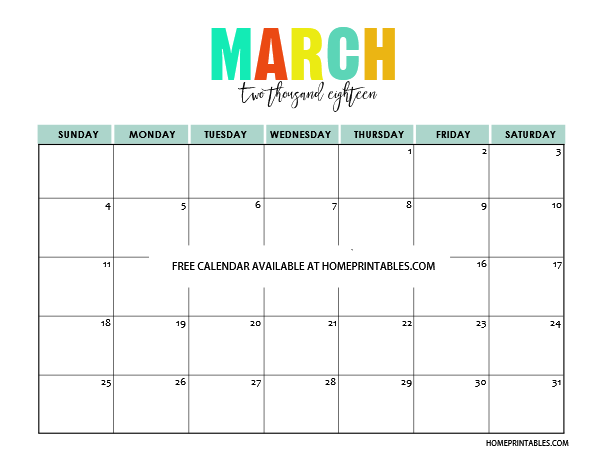 Today on the blog, we are releasing lovely monthly calendar pages for all the months of the year! These calendars will delight you as they come in bright and happy colors, designed to set the year to the right mood. Ready to view your printable copy? This particular calendar design is actually our most popular edition since last year. Well I guess a lot of you love that it looks so positive and clean. We’re also happy to share that this calendar set is easy on ink! So, if you’re having a hard time finding a calendar that is both functional and beautiful, we highly recommend this set of free printable calendar 2018. It will really help you get organized on a daily basis. 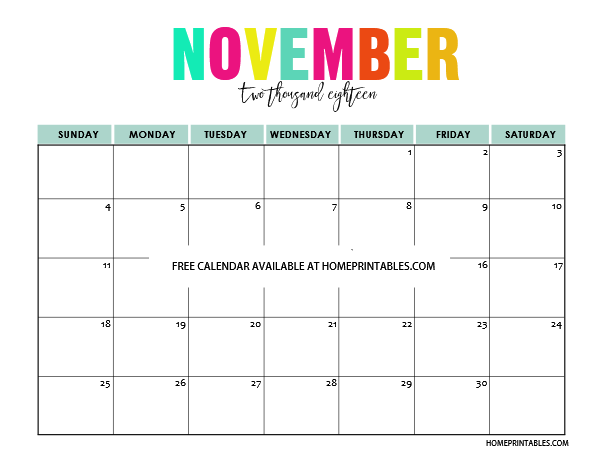 Use this calendar to map out your plans for the month or use it to organize your schedules at work and home! Are you a blogger? 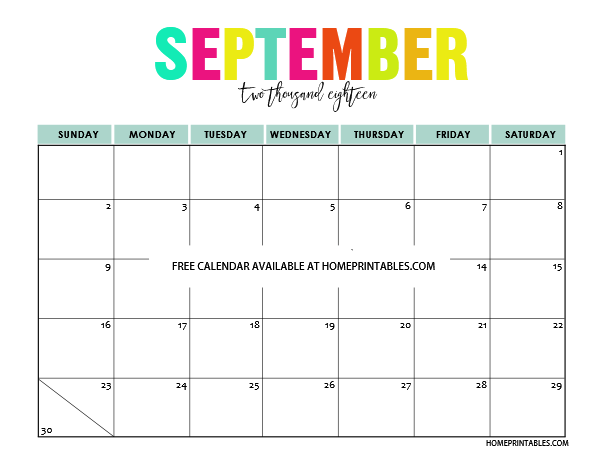 This calendar also makes a great planner to use to organize your blogging schedules! The possibilities as to where you can use this calendar is endless! Each monthly page is designed for printing in a standard, letter-size paper. The files come in uneditable PDF which you can find towards the end of the post. 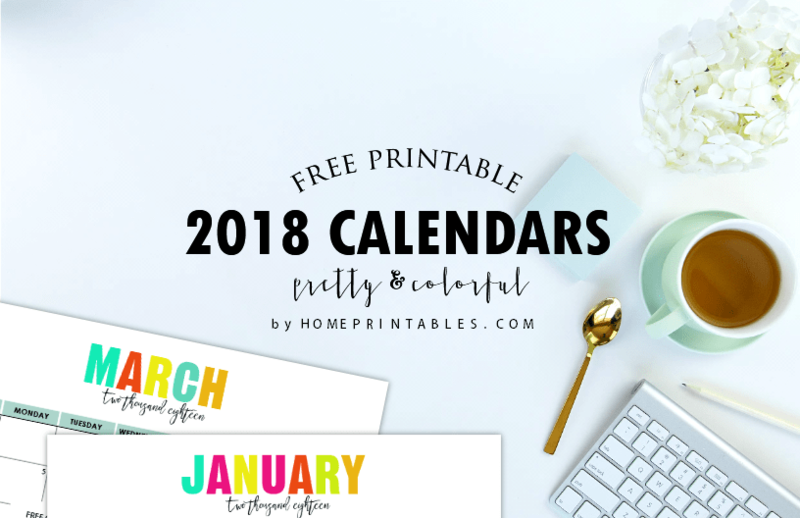 FREE PRINTABLE CALENDAR 2018: COLORFUL AND DELIGHTFUL! Here’s a preview of all the monthly calendar copies. Have a look before you print them out! Please note that the huge watermark across the page is not seen in the PDF file. Enjoy! 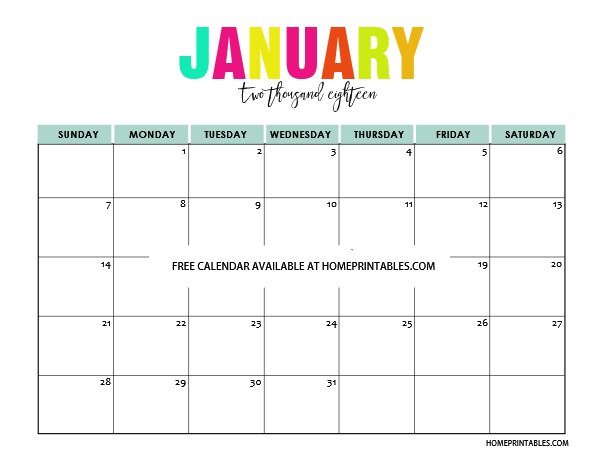 Get this free printable calendar 2018 and plan the year ahead! For some, if it’s not written down, it does not get accomplished. Are you one of them? 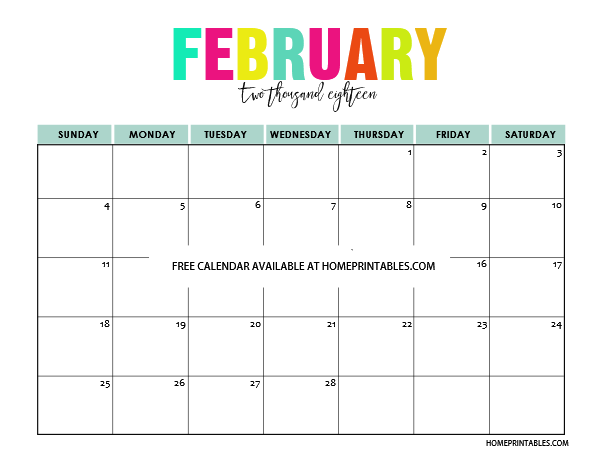 If organizing is not really your thing, then this free printable calendar 2018 can help you get things sorted out. 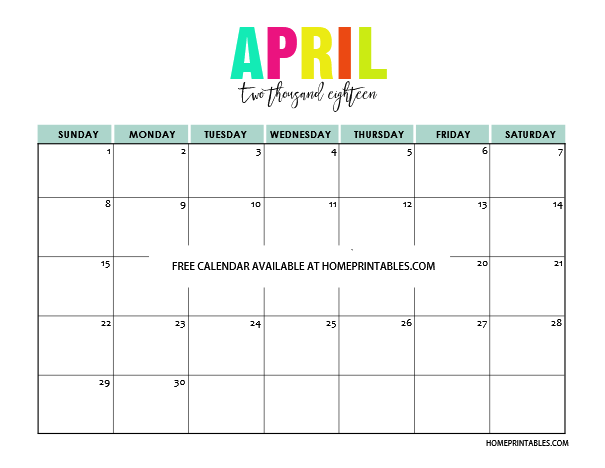 Print a copy to use to organize your work schedules and another one to manage your home. 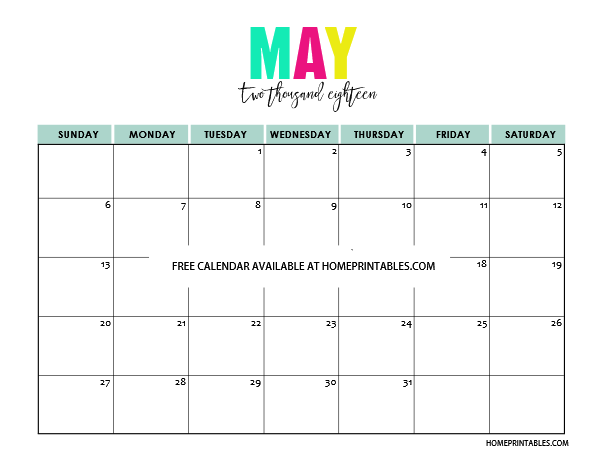 And oh, if you’re a mom, you might like to see this ultimate mommy planner that will give you a system in managing a blissful and abundant home. 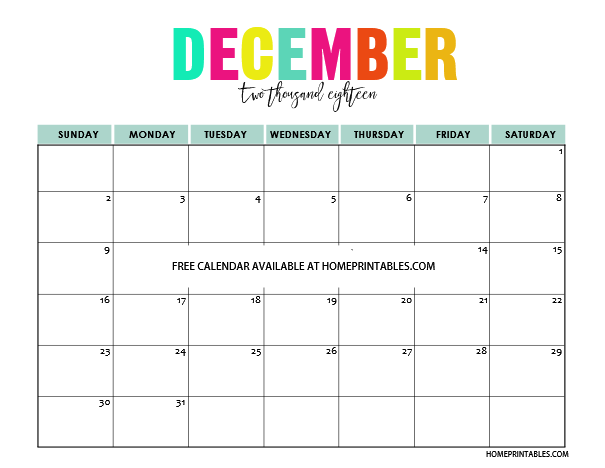 You can use the planner hand in hand with the this free printable 2018 calendar to stay productive and happy. Simply go HERE to print your free 2018 calendar. Feel free to print another copy and give it as a gift to your friend, too. Just remember that the PDF files may not be distributed in any form! Wait, there’s more! 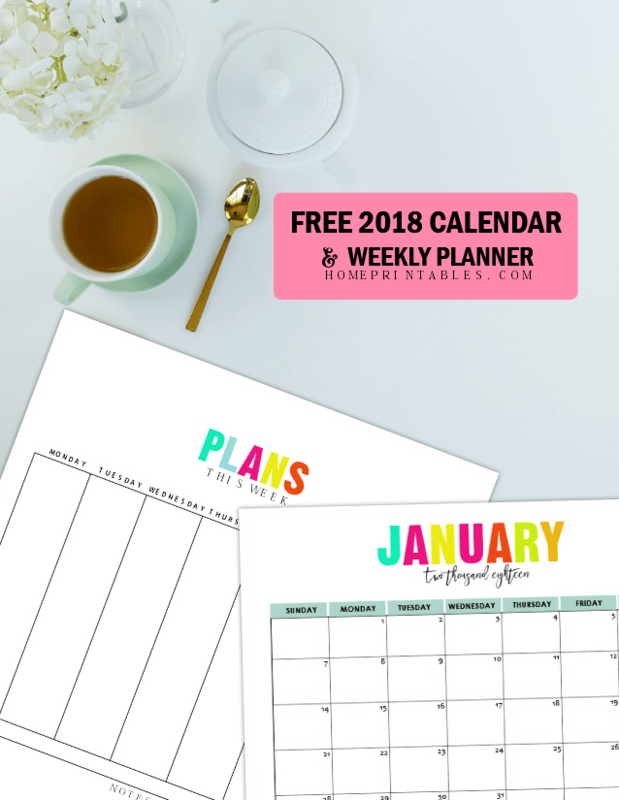 We love to see you organized all through 2018 and so we designed a free weekly planner printable that you can also use. You may get this printable planner HERE. 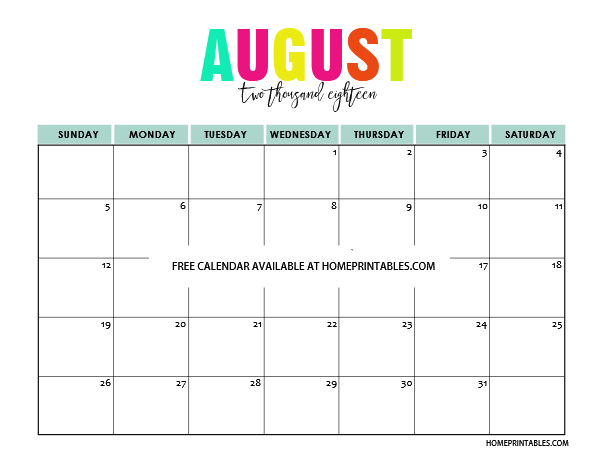 This weekly planner matches your free printable calendar 2018 perfectly! 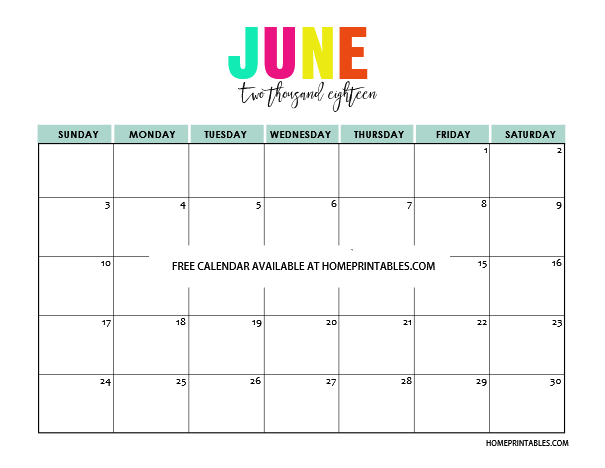 I hope you love this free printable calendar 2018 set as much as we do! May it bless you all through the year! Oh, hello 2018, we’re ready! Have a great year ahead, friends! Happy planning! I absolutely love the bright colors and full page format of this calendar! Have through December printed for my school year planner. Curious if you plan to update for 2019?